Finally. My latest book that I coauthored with Shannon Kalahan is available for purchase. Shannon and I put a lot of time into writing this one together. Neither one of us had any idea how many rounds of editing and rewrites went into a book like this. All of that effort has made for a funny, easy to read, and informative book about our experiences as landscape photographers. If you’re looking for a technical book on photography, this isn’t it. If you want a book where two photographers, with decades of experience between them, share actual mistakes they’ve made in the field, this is the book. Normally, people don’t want to share the silly mistakes they’ve made during the learning process, but not us. We clearly lack shame. Some of the advice could be life saving, and other bits of advice will be gear saving. Right now, the ebook is on sale for $5.99. Some of our professional landscape photographer peers have already read the book and had great things to say! We’re so close to wrapping this one up! Going into this joint effort with Shannon Kalahan, I don’t think either of us really knew how much work we’d end up putting into it. I’ve lost count of how many times we’ve read it and made changes. We are finally just about ready to unleash our funny, and educational, landscape photography ebook on the world. A few of our professional photographer peers have already read it and given us great reviews. I have other ideas for my next book(s), but I’d like to know if you are more interested in a book on iPhone photography, or dslr photography? I’m happy to say my book is finally finished. I ended up doing more than I originally anticipated, since I learned a bit about using InDesign. 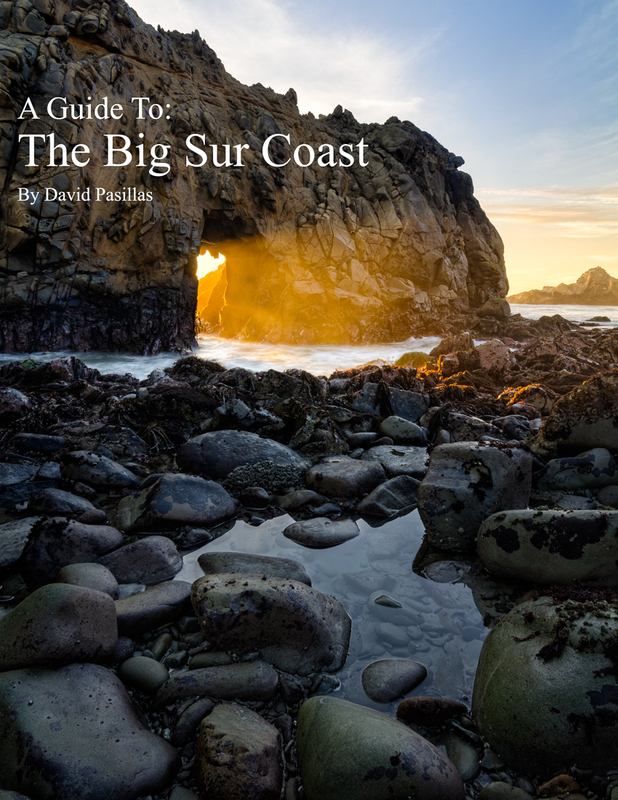 This was going to be a straight text PDF, but I added links to relevant maps and websites, which should make your trip to Big Sur easier. I may even add more info to it still. Maps to locations that can be challenging to find. Descriptions of what you might find at the locations. Tips for being prepared in Big Sur. Some Big Sur photos that I haven’t shared anywhere before. If you want a copy for free, be sure to sign up for my newsletter ASAP. I’m going to start charging for this book on April 15th. If you like it, tell your friends! Feedback is always welcome too. To sign up for my newsletter, go here. Recently, I was contacted by photographer, and author, Shaun Hines, who asked me to read and review his new book, Unraveling the Mysteries of the Little Black Box. I’m glad Shaun reached out to me, because this was a nice read. Though I already know the material, I can appreciate the layout, and his teaching ability. I don’t have an iPad, so I read this on my iMac, using iBooks. This isn’t just a book, its kind of like an interactive classroom. In fact, Shaun’s book was named an Editor’s Choice Award Winner and the 2014 runner up in the Most Innovative App category by The Phoblographer. The list of features below are a large reason why. My favorites are the study cards and quizzes. They’re sure to help everyone in the learning process. At first, I found the font a bit distracting. I was under the impression that books used relatively similar, basic fonts. As I read on, I got a feel for the book, and realized this was no ordinary book. In fact, the layout is in a graphic novel style. The more I read, the more the font made sense for the style, and, in the end, I think the font adds to the layout and readability of this book. The book begins with a history lesson in photography, which I think is useful for anyone that wants to take photography seriously. Sean even goes as far as including the first photographs of nature and people. This really is a well thought out book for beginner photographers. It’s only 98 pages, so its short enough that you can get through it in a weekend, at a reasonable pace. If you have someone in your life that has an interest in photography, but doesn’t know where to start, this would be perfect. The other people that I think will benefit from this are those that only shoot in auto mode, because they don’t have a firm grasp of aperture, shutter speed, and ISO. The interactivity makes it feel like a classroom in a book, which is great for people that need more than just text. Unravelling the Mysteries of the Little Black Box 1.0 is available on iTunes or iBooks Stores in the Arts & Entertainment/Photography category.